THE decision by the UPND Members of Parliament to boycott the ceremonial official opening of Parliament by President Lungu last Friday was not only childish but retrogressive. Did the UPND Members of Parliament have genuine reasons for boycotting Parliament? Did they inform Parliament about their inability to be part of the proceedings? What did they achieve by staying away from Parliament? Absolutely nothing! Members of Parliament must always realise and bear it in mind that they are elected to represent the electorate. None of them is in Parliament by their own wish. Almost each one of them, with the exception of a handful nominated Members of Parliament, had to vigorously campaign to earn the trust and confidence of the electorate in the just ended general elections. As they solicited for the votes, all of them promised the people they now should represent in Parliament to safeguard their interest diligently. We dare say that boycotting the official opening of Parliament is not what the electorate voted them for. It is actually a betrayal of the people’s trust and confidence. It is trading their honourable responsibility for political expediency. What is surprising to note is that some UPND Members of Parliament who boycotted the official opening of the First Session of the 12th National Assembly by the Republican President Edgar Chagwa Lungu were later part of the partying that was held at Parliament. It is such irresponsible conduct that demeans the clamorous status of honourable members of the august house. We are of the view that whatever the reasons the UPND Members of Parliament could have had did not hold water. They were bereft of substance worthy serious consideration. How can the closure of some media houses by relevant authorities be taken as the basis for boycotting an official parliamentary session? 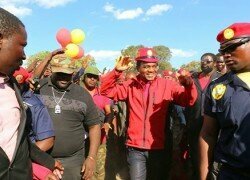 The UPND must be magnanimous enough to pick themselves up after suffering electoral defeat in the August 11 general elections and focus on continuous party mobilisation in preparation for 2021 elections. To continue living in denial of the legitimate election of President Edgar Chagwa Lungu and the Patriotic Front (PF) only weakens their position in our political space being the largest political party currently. Paradoxically, the UPND Members of Parliament are expected to be in the House on Tuesday to debate the Presidential address to Parliament. The question that begs an answer is: Are they going to boycott debating the President’s speech? If not, was their boycott any sensible? We think the boycott has not made them achieve anything at all. If anything, it has dented their honourable reputation. All Members of Parliament were sworn into Parliament by the Speaker who was sworn-in by President Edgar Chagwa Lungu whose presidency they unfortunately continue to undermine. Does this make logical sense? We commiserate with some progressive minded Members of Parliament who are compelled to sing and dance to the tune of the UPND party alongside others. It is certainly clear that not all the UPND Members of Parliament are in agreement with the antagonistic stance adopted by the party leadership. Mr Hakainde Hichilema must know that a large section of his Members of Parliament is not happy with what is currently prevailing in the party. His style of management is causing great discomfort to majority of his closest confidants. We would like to urge the UPND leadership to quickly come to terms with the prevailing political reality after the general elections. It will not do the party any good to continue living in self-denial. Certainly that boycott was totally inutile.